Now that summer is in full swing you may find yourself wanting to enjoy your outdoor spaces. Perhaps you like to swim, hike, garden, boat or just sit under a tree and read a book. Regardless of what your favorite summertime pursuit is, you may find that you are burdened by all sorts of insects including mosquitoes, fleas, spiders, moths, flies, ants, roaches and more. 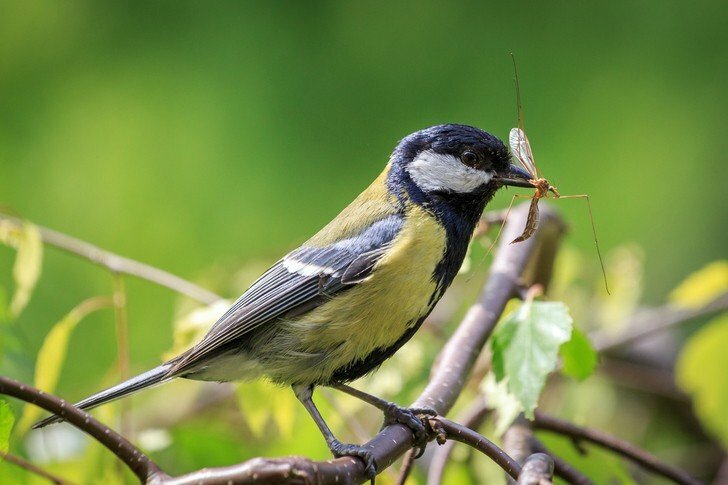 There is no doubt about it, insects of all kinds can be tremendously pesky, especially if they show up at unwanted times, in unwanted places like your garden or outdoor living spaces. 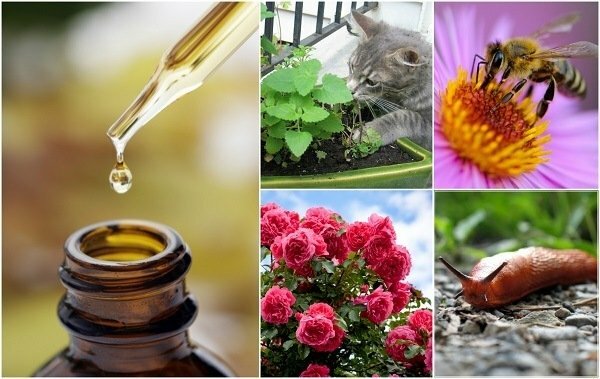 While there are a number of chemical options for eradicating mosquitoes and other insects, these can be dangerous to your health and the health of your family and animals. To keep things all natural, try these herbs and plants that repel insects so that you can reclaim your personal spaces and enjoy time outdoors. Not only is basil a delicious culinary herb but its rich aroma is despised by mosquitoes and flies. Plant basil in containers and place them by the entrance ways of your home as the first line of defense. Pinch off your basil often and use in soups, salads, and other recipes. You can also make your own natural insect repellent spray. You are more than likely familiar with citronella – a popular oil used in many mosquito repellent products. This natural oil is derived from lemongrass, an ornamental plant that grows all year in Florida and other tropical climates and is an annual most other places where it grows well in pots or in the ground in a sunny location with good drainage. I like to plant lemongrass around my patio and on my front porch to keep mosquitoes away. Don’t forget to enjoy the wonderful flavor of lemongrass in soups, chicken and pork dishes. These beautiful plants that are revered for their stunning fall flowers. However, they are also an effective insect repellent and can keep ticks, silverfish, lice, bed bugs, spider mites, Japanese beetles, ants, roaches, root-knot nematodes, and harlequin bugs from becoming a nuisance. Mums contain a potent ingredient called pyrethrum which is commonly used in garden insecticides, household sprays, and pet shampoos. Pick flowers when they are at their fullest, leave them to dry in a cool, dark place with plenty of ventilation and crush them up for an insect deterrent powder. These dainty little annuals not only liven up your landscape but also will keep aphids, asparagus beetles, leafhoppers, squash bugs and tomato hornworms away. Add some petunias to your veggie garden and not only will they add color but also a strong line of defense. I always keep mixed pots with plenty of petunias around my patio and porch areas. Mint is by far one of the most effective natural pest control options, particularly for ants, flies and mosquitoes. The nice thing about mint is that you can use it in a variety of ways for safe and natural pest deterrent. To control pests inside the house: Crush some mint leaves and place them in a small piece of cheesecloth and tie. Put them in areas of your home where you need help controlling pests. Insect repellent: Cut some fresh mint leaves and put them in a small pan with a few orange and lemon peels. Cover them with water and bring to a boil. Let the mixture sit for at least 12 hours and strain. Mix equal parts mint infused water and rubbing alcohol. Use in a spray bottle. Rosemary, a member of the mint family, has a pleasing aroma and is a popular culinary herb that is also an effective deterrent for mosquitoes and other insects that like to munch on garden plants along with spiders. Use rosemary as a landscape plant around your home, garden, and outdoor living areas. I like to put rosemary in pots on my outdoor tables and on my patio. Make a simple insect spray by boiling 1 quart of dried rosemary in a quart of water for 30 minutes. Strain the liquid into a half gallon container filled with one quart of cooled water. Put the rosemary water into the refrigerator and transfer to spray bottles. Use the deterrent when you go outside. I also like to spray around my window screens. Mix 2 cups of catnip leaves with 3 cups of rice vinegar in a quart size mason jar. 11. Dill – Repels aphids, spider mites, cabbage loopers, squash bugs and tomato hornworms. 12. Oregano – Oregano is a flowering plant in the mint family that will help keep mosquitoes away. This culinary favorite does well in pots or raised beds. 13. Bee Balm – Bee balm is a favorite perennial plant of butterflies, hummingbirds, and bees but not mosquitoes. 14. Eucalyptus – Eucalyptus is a tree that is very effective at repelling a wide range of pests such as spiders.